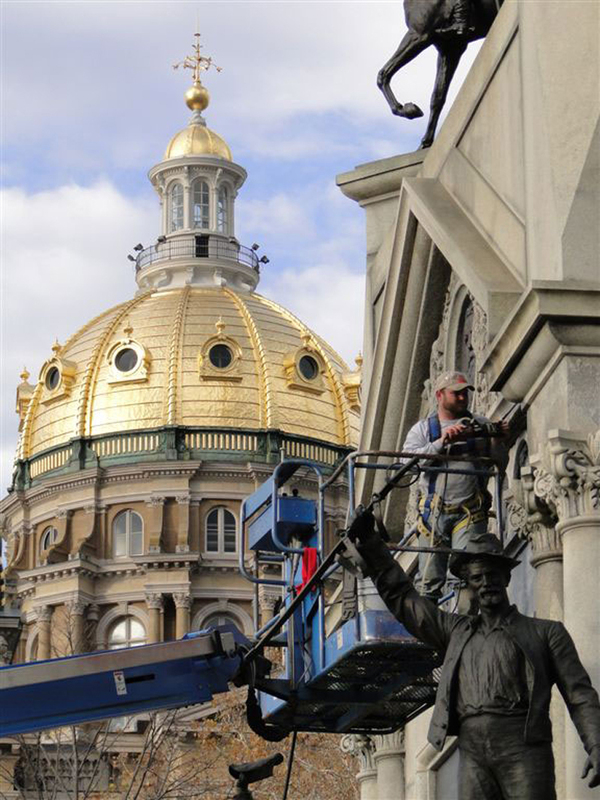 STRATA Architecture Inc. was selected by the State of Iowa, Department of Administrative Services to perform a detailed stone condition assessment and to prepare restoration documents for the Iowa Soldiers’ and Sailors’ Monument which is located within the Capitol Complex grounds adjacent to the State Capital in Des Moines. 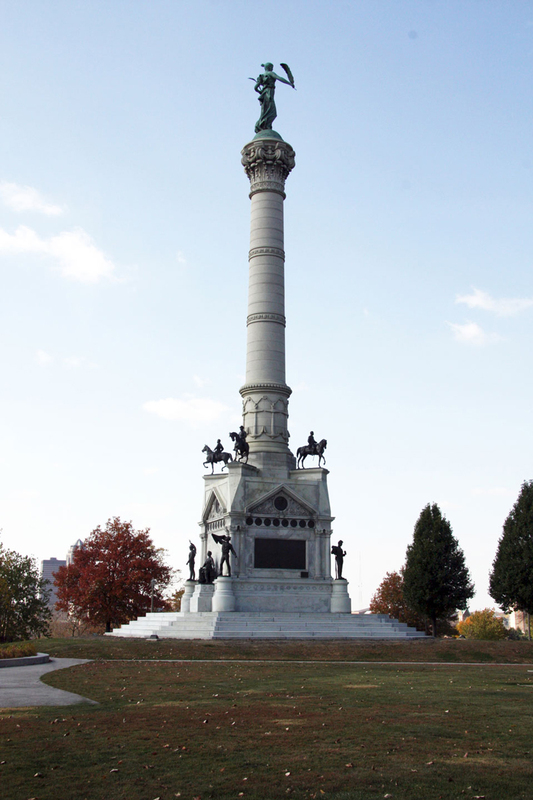 The historic monument was designed by Harriet A. Ketchman in 1888, the winning entry into the design competition held for the monument dedicated to the service men and women of Iowa who served in the United States Civil War. 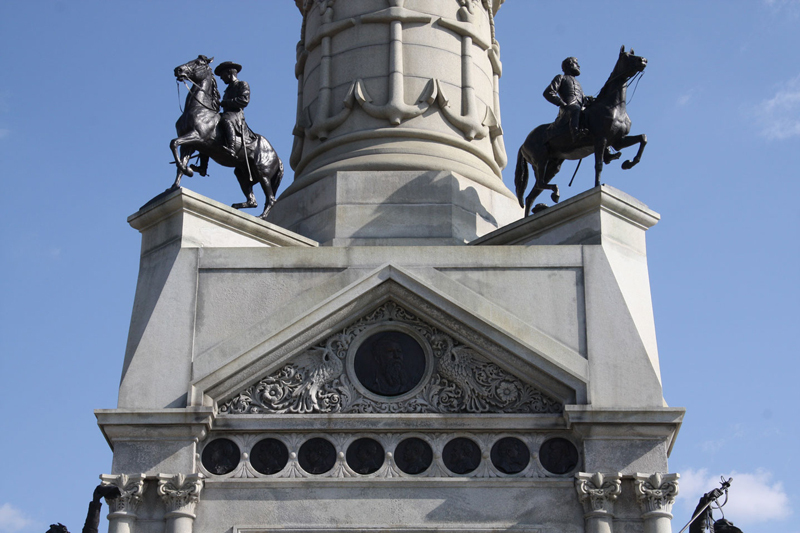 Completed in 1896, the monument is constructed of white granite with eleven large cast bronze statues and memorial bronze plaques representing each branch of the military forces, noted Iowa generals and soldiers, Civil War battles and allegorical figures representing the State of Iowa. After the completion of the stone condition assessment, our firm developed restoration construction documents and specifications. 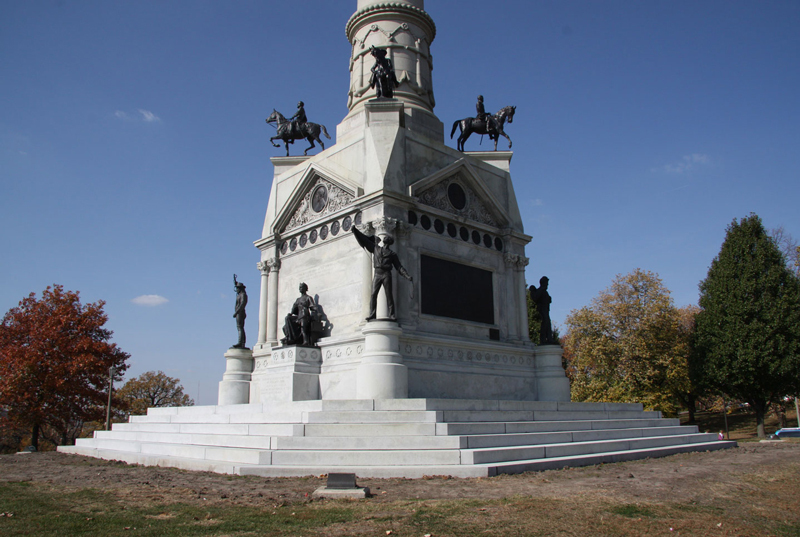 The monument rehabilitation included stone patching, stone replication and resetting, stone cleaning and repointing of the entire base of the structure. Work was completed on schedule and on budget for the commemoration ceremony of the 150th Anniversary of the beginning of the Civil War.